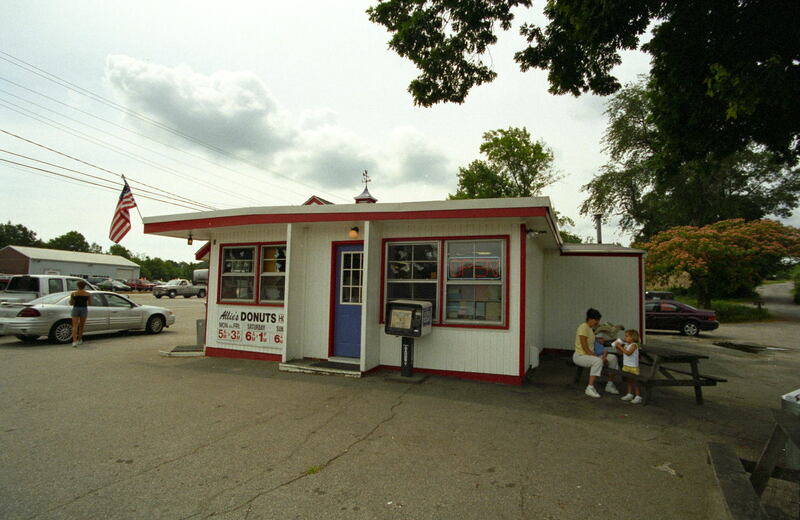 On Sunday morning the 14th of July, 2002, I decided to give Jinghua Guo, my visiting scholar from Beijing Normal University, a taste of Rhode Island's good life, where "good life" is defined as Allie's Donuts in North Kingstown. 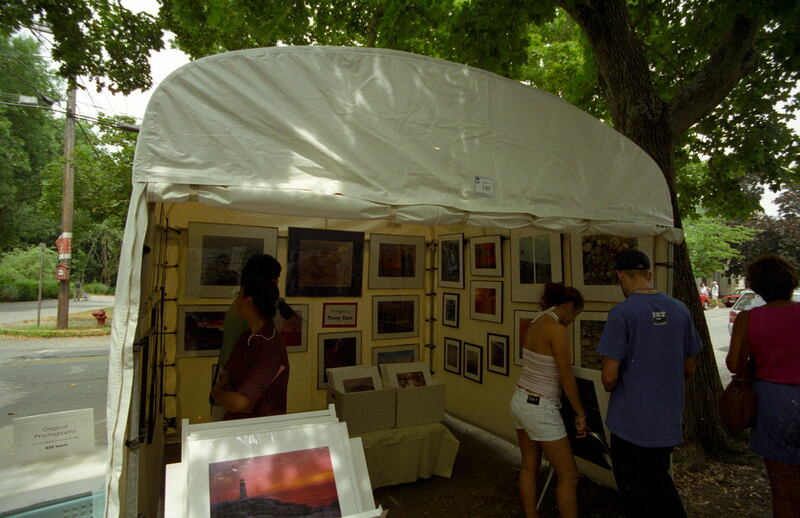 On the way there, we realized that this was the weekend of the annual Wickford Art Festival. I happened to have a short roll of film in the camera for test purposes, so we got a few photos. Enjoy! Jinghua is having fun!!! You can even see some of the fun on her face. At the festival we ran in to Mrs. Rhode Island 2002, Anita Bergantini, who kindly posed with Jinghua. 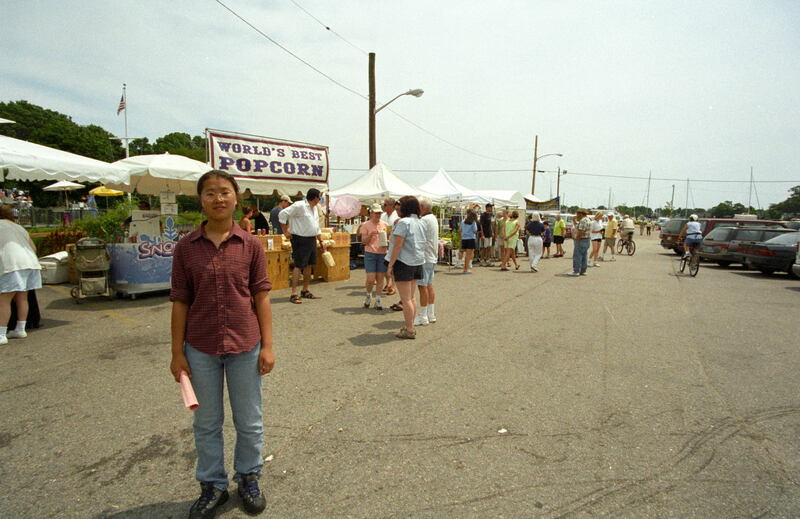 The parking lot across from Ryan's Market was full of culinary attractions such as the world's best popcorn. Having just filled ourselves with the world's best donuts, we demurred. 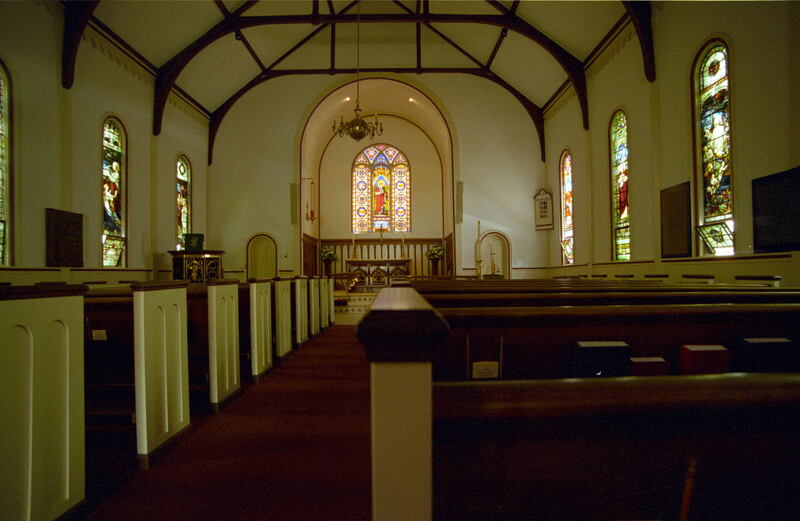 St. Paul's church was open for visitors. I was able to get a good picture without resorting to a flash. We ran into Tony Guo, a great Chinese photographer now living in Fresh Meadows, NY. His photos of China were outstanding. Jinghua relaxing near the end of our walk through the show. 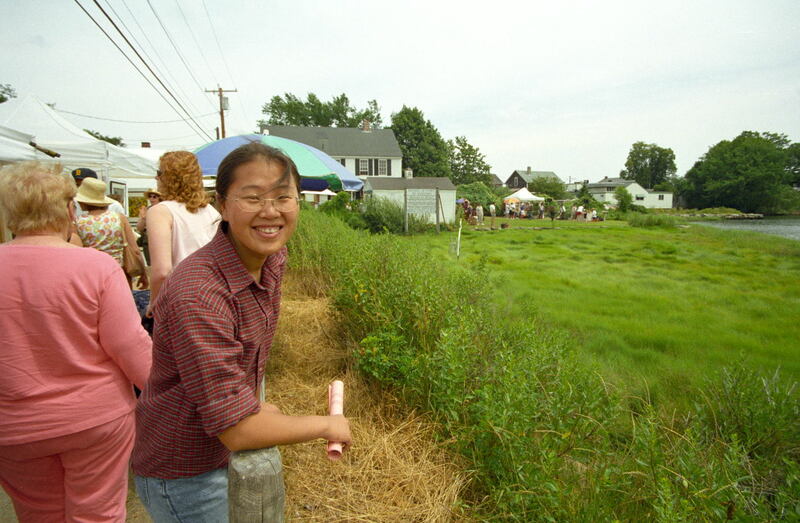 She particularly liked the long marsh grass on the right, and thinks that all American lawns should look that way.